Add broth, celery, carrots, parsley and potatoes. Bring to a boil, then simmer until potatoes are tender, about 10-12 minutes. In a saucepan, melt butter and stir in flour. Add milk, stirring until smooth. Gradually add milk mixture to the soup, stirring constantly. 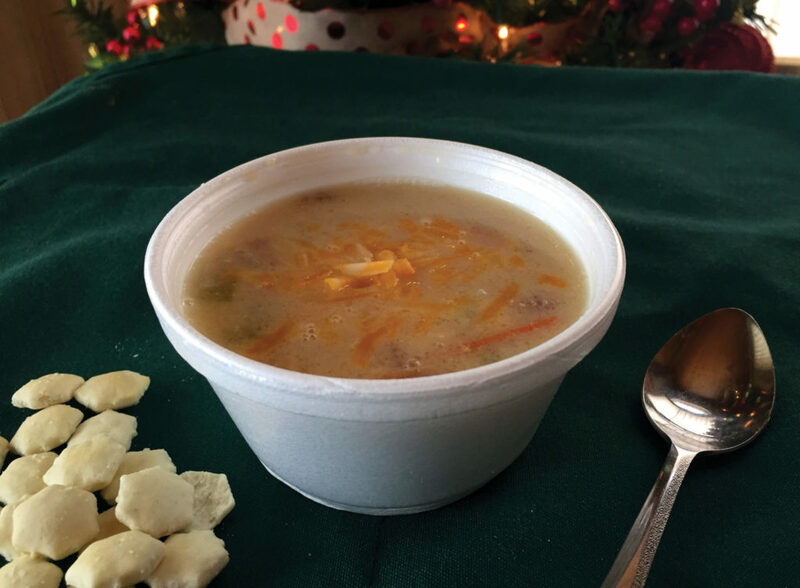 We featured this recipe in the December|January 2018-19 issue of Wisconsin Farm Bureau Federation’s Rural Route. Photo and recipe submitted by Wendy Kannel, director of training and leadership development.